The 12 gauge was invented in the 1870's and quickly became the most popular shotgun in America. Used by law enforcement professionals, soldiers, and civilians alike, this gauge is phenomenal for throwing out large amounts of lead, making it perfect for self defense, clay shooting, and hunting. 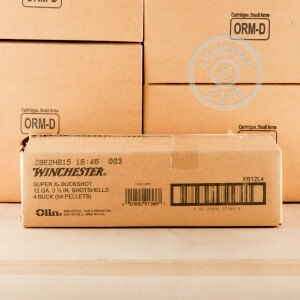 Since 1866, Winchester has been providing some of the best firearms and ammunition in America and are a nationally loved favorite. 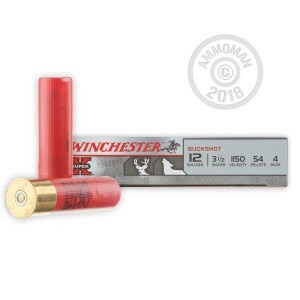 These Super-X 3-1/2", #4 magnum buckshot shells feature some of Winchester's finest components including one piece hinged wads and 209 primers for tight patterns and reliable ignition. 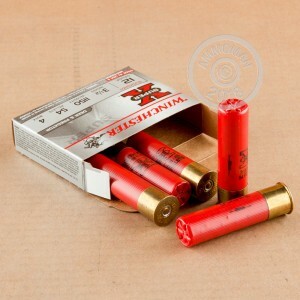 With the added power of the high brass magnum hulls, these shells are perfect for deer and large varmint hunting with your favorite shotgun. Don't forget, at AmmoMan.com all orders over $99 will receive Free Shipping! 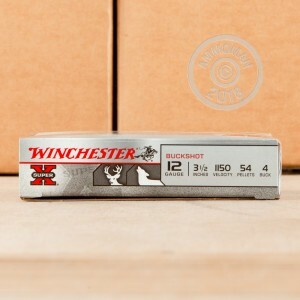 So stock up on all your calibers and save!